Bottom Line: A richly structured sparkler that will stand the test of time. 87 • Buscado 2016 Grenache, Spain 14.5% (Spain) $9.99. 86 • Buscado 2017 Tempranillo, Tierra de Castilla 14% (Spain) $9.99. 84 • Gina 2017 Prosecco DOC 11% (Italy) $17.99. 90 • Gina NV Casa Rossa Sweet Red , Italy 5% (Italy) $12.99. 88 • Gina NV Moscato, Provincia di Pavia IGP 5% (Italy) $17.99. 87 • Gina NV Dark Red Flavored Wine, Italy 5.0% (Italy) $17.99. 87 • Gina NV Tropical Passion Fruit Moscato, Italy 5.5% (Italy) $17.99. 91 • Gustave Lorentz 2016 Reserve, Pinot Blanc, Alsace 12.5% (France) $19.99. 94 • Gustave Lorentz 2011 Altenberg de Bergheim Vielles Vignes, Riesling, Alsace Grand Cru 13.5% (France) $60.00. 90 • Gustave Lorentz 2016 Reserve, Gewurztraminer, Alsace 13.5% (France) $24.99. 91 • Gustave Lorentz 2016 Reserve, Riesling, Alsace 12.5% (France) $22.99. 91 • Gustave Lorentz 2014 Lieu-Dit Burg, Riesling, Alsace 13% (France) $35.00. 89 • Gustave Lorentz 2011 Altenberg de Bergheim, Gewurztraminer, Alsace Grand Cru 13.5% (France) $60.00. 87 • Luisi 2016 Barbera d’Asti 13% (Italy) $12.99. 86 • Luisi 2015 Chianti Riserva DOCG 13.5% (Italy) $17.99. 88 • Luisi 2017 Moscato d’Asti DOCG 5.5% (Italy) $17.99. 87 • Luisi 2017 Pinot Grigio, Collio Bianco 12.5% (Italy) $17.99. 87 • New Age NV White Dessert Wine, Mendoza 9% (Argentina) $12.99. 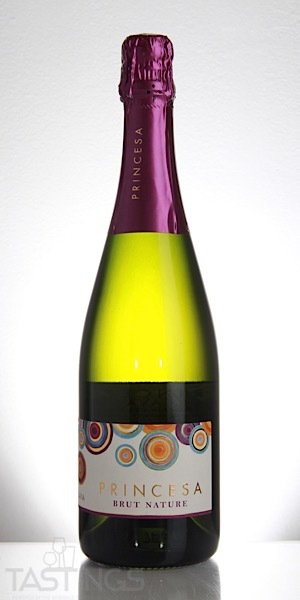 92 • Princesa NV Brut Nature, Cava DO 11.5% (Spain) $16.99. 83 • Princesa NV Brut Rosé, Cava DO 12% (Spain) $16.99. 85 • Tropical NV Mango Moscato, Italy 5.5% (Italy) $17.99. 86 • Tropical NV Passion Fruit Moscato, Italy 5.5% (Italy) $17.99. 85 • Valentin V 2017 Cabernet Sauvignon, Mendoza 13% (Argentina) $11.99. 88 • Valentin V 2017 Malbec, Mendoza 13% (Argentina) $11.99. 87 • Valentin V 2017 Syrah, Mendoza 13% (Argentina) $11.99. 83 • Vino dei Fratelli 2017 Moscato d’Asti 5.5% (Italy) $17.99. Cava is a term that refers to Spanish sparkling wine. 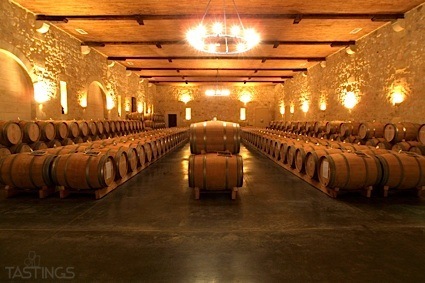 The word means "cave" or "cellar"; while it is used for bubblies across the country, most examples come from Catalonia in the Penedes region in northeast Spain. Cava is produced according to the classic method used in Champagne, although aging requirements are much shorter. While a few producers use Chardonnay and Pinot Noir, the most common varieties in Cava are Macabeo, Paralleda (white) and Monastrell (red). Cava can be made as a white or rosé; the latter category is produced with the addition of red wine. Most examples of Cava are value-oriented, costing between $12 and $15 on US retail shelves. Several large producers have made greet strides in this market and their entry level wines are meant for immediate consumption, while their special cuvées can age for three years or longer. Use Cava for an aperitif or for a moderately priced sparkling wine to accompany lighter seafood or poultry. Princesa NV Brut Nature, Cava DO rating was calculated by tastings.com to be 92 points out of 100 on 10/30/2018. Please note that MSRP may have changed since the date of our review.